The pods are eco-friendly igloo-like geodesic dome structures made up of pinewood that connect luxury to nature. The strong framework can withstand harsh weather conditions while maintaining inner warmth. Each pod-suite has spacious interior with fully equipped bathrooms, an outdoor patio to immerse in the Himalayan view. The pods have earthen clay heaters and operate on solar electricity. Snowpod provides the ultimate blend of adventure, luxury and comfort. 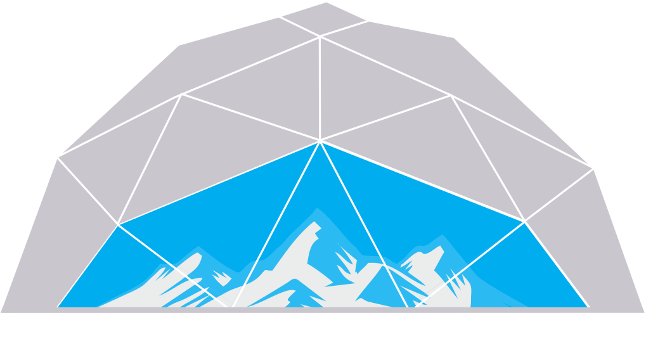 Snowpod is your very own escape from the hustle bustle of the city to an unforgettable adventure. Accommodates up to 8 adults.